To celebrate the 50th anniversary of the production of the furniture of Le Corbusier, Cassina and Interiors magazine have selected forty architects of the most important studios of the Milan project protagonists inviting them to participate in the design competition showcases Cassina showroom in Milan in via Durini16. The theme of the competition LC 50 Project is inspired by the famous definition that Le Corbusier gave the house as a "machine for living", perfect and running. “The house is a machine for living" and "a chair is a machine for sitting" are the corollaries of an rationalist aesthetic, a rhetoric that is pushed towards a functionalist supremacy. These are the basic assumptions of modern design on the reproducibility of everyday objects and the aesthetic dimension of standardization. The exhibition showroom of Cassina is based on this basic assumption and it is intended as a place that embodies the expression of contemporary modernity. The space is transformed into a theater piece where the furniture in the collection LC Cassina is staged and shown to the public through the filter of the windows with interactive media. In this way, by almost dreamlike means of a dematerialization process, the furnishings are imagined to become iconic objects. The typical setting of the twenties of the twentieth century and the poetic figurative of Le Corbusier will be recreated by means of interactive projections (video mapping): these are everyday objects (furniture, vases, baskets, bottles, jugs, cups etc.) but also men and women in period costumes in real dimensions. All these images will interact with visitors in the showroom. Federico Delrosso ”firma” le sue cartoline dal titolo “Urban Landscapes” per POSTCARDS arte minima segreta. 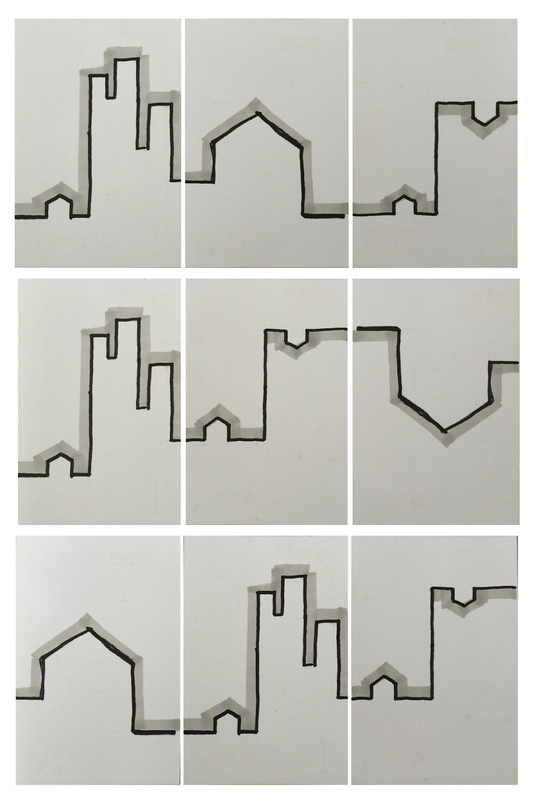 "Un gioco di composizione di tre cartoline che combinate tra loro danno vita a tre diversi paesaggi urbani"
IED, Istituto Europeo di Design ha presentato la prima edizione di POSTCARDS, arte minima segreta, realizzata in collaborazione con The Italian Project. Le opere, tutte in formato cartolina, sono realizzate da studenti e da celebrità del mondo del design, moda, architettura, fotografia, cultura e arte. I lavori realizzati sono stati esposti in maniera anonima così da mescolare democraticamente i grandi artisti con i giovani creativi che, per la prima volta, si sono presentati al pubblico. Le opere sono state tutte vendute alla cifra simbolica di 50,00 euro ciascuna e, solo dopo l’acquisto, è stato possibile scoprirne l’autore nascosto. The ultra-narrow plank designed by Federico Delrosso for the company TABU was among the projects shortlisted for the BOY (Best of the Year) Award organized by INTERIOR DESIGN magazine - USA. 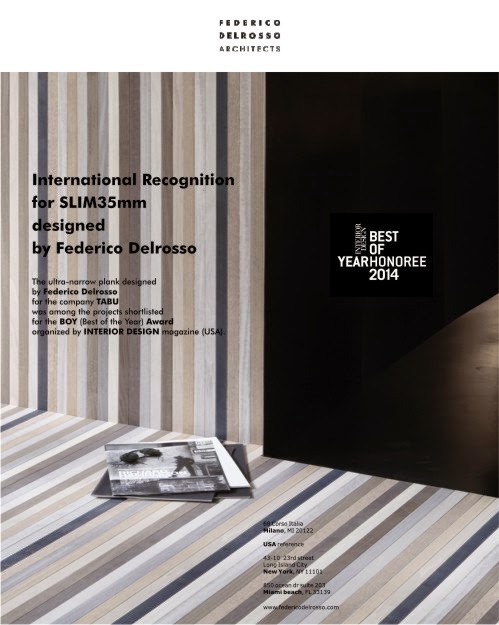 Among the many international projects arriving from the design world, the ultra-narrow floor plank designed by Federico Delrosso was selected as a project of interest for the BOY (Best of the Year) Award, Materials and Surfaces section. The prestigious recognition was awarded during the prize-giving ceremony, which took place in New York on 4th December 2014. The first Italian IIDA (International Interior Design Association) event in Milan organized by Federico Delrosso, member of the IIDA Presidential Committee. 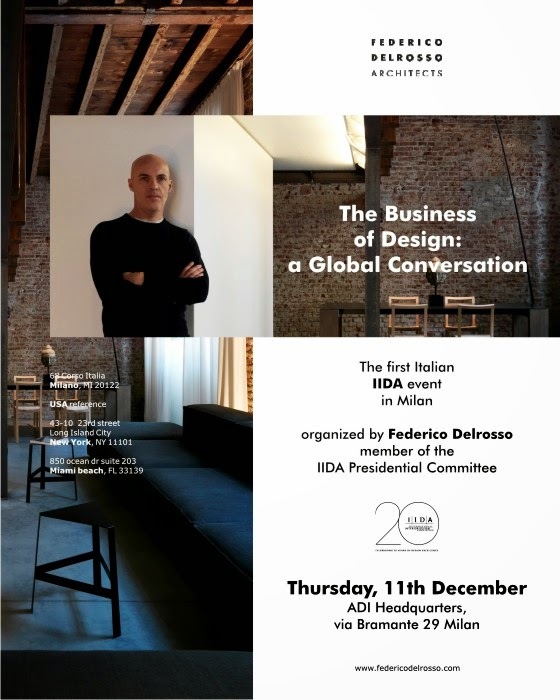 A round table dedicated to interior design and to international trends will take place in Milan for the whole of 11th December, on the initiative of the IIDA (International Interior Design Association) founded in Chicago in 1994. 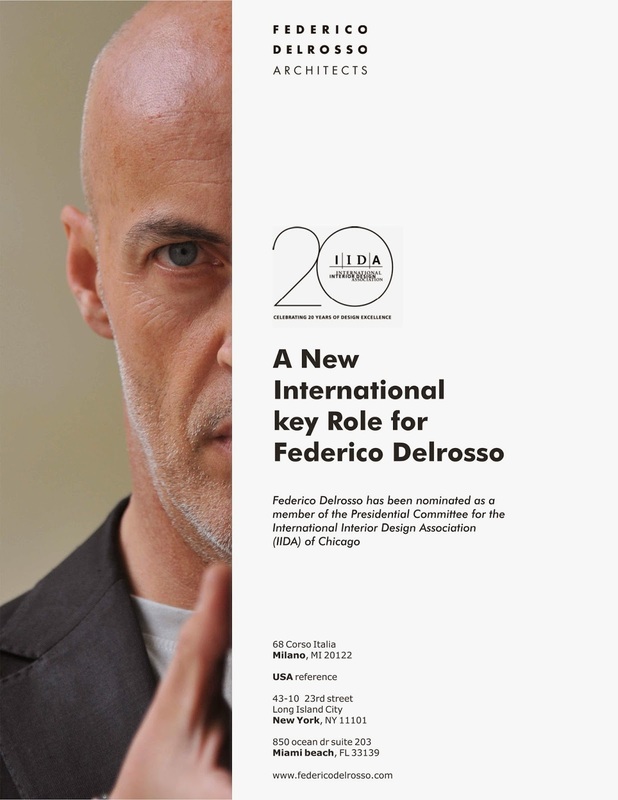 The event will occur thanks to work carried out over the last few months by Federico Delrosso, who was nominated last August as a member of the IIDA Presidential Committee. It is a new international challenge for Milanese architect and designer Federico Delrosso and the culmination of his increasingly active presence in the United States, where from 2009 he has been creating projects in the catering sector for the Bice chain, from New York to San Diego. His nomination as a member of the Presidential Committee of IIDA (International Interior Design Association) was made official by the international president Julio Braga during the summer meeting of the Board of Directors held from the 22nd to the 24th August 2014 (http://www.iida.org/content.cfm/press-releases).